Google Search Console update lets users receive notifications for any significant drops in website performance. Google finds another way for Google Search Console users to look at their website performance in their new notifications update. Users will receive notifications from the Google Search Console when it detects a significant drop in the user’s webpages. A website’s performance can be affected by various factors like changes in search engine algorithm. The new update will let page owners know if their pages are malperforming. Google will compare the user’s website clicks and query clicks gathered in the Search Consoles’ week-over-week performance data and will compare it to the web page’s current performance. If Google finds a significant drop in the data, Google will send a notification to verified website owners through the Seach Console with a short evaluation of the reason for the drop. People from the Search Engine optimization community have mixed reactions regarding this update. Some see these notifications as useful. 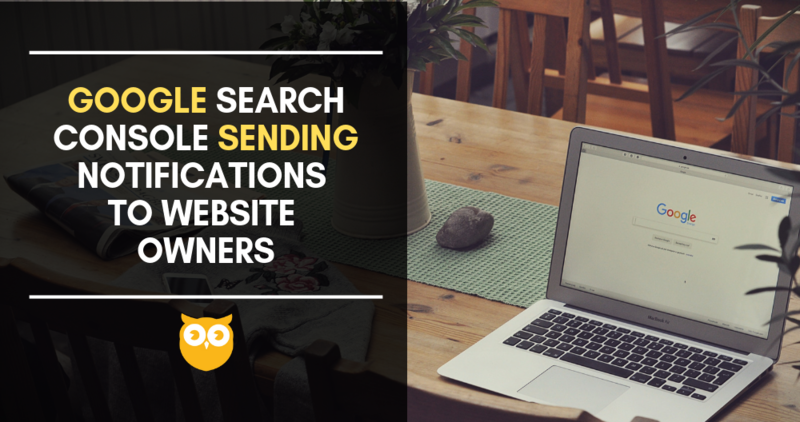 Website Owners can benefit from Google’s Search Console Notifications. These Alerts will give you a heads-up that your website is under-performing compared to the previous periods. This is a way of Google telling Webmasters and Website Owners to take good care of your website and its performance. Understanding these notifications and its probable cause can help in addressing any issues sooner before it greatly affects the business. There are things to consider to narrow down the possible cause of the drop in a website’s performance. Did your average ranking position in search console drop? Are there any significant changes on the website? Are there any campaign that have stopped in the past week/s? Or, Are you aware of seasonal fluctuation in market behaviour or search trend? If you’re not getting these notifications, then kudos, your website is working and performing well.